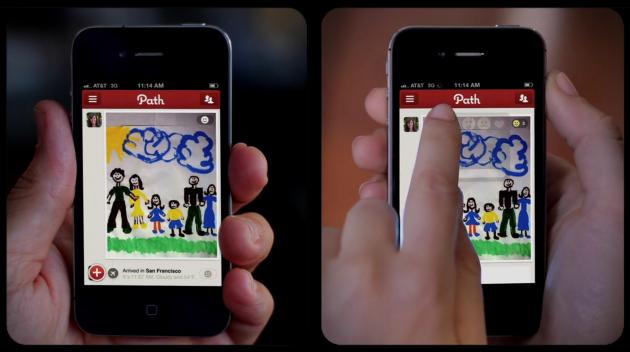 Path’s ‘smart journal’ sharing service is now serving more than 2 million users, adding one million new members since it relaunched its app just two months ago. AllThingsD spoke with Path CEO Dave Morin, who told them that the Android and iOS apps had taken just two months to add one million users, whereas the first iteration of the app took a full year to accrue the same amount. Morin also said that 70% of people who use Path in a week are coming back to the app the next week, that users have now created over 50 million items of content and half a billion pieces of feedback (which is another way of saying that people interacted with content on the service). That said, there are now 15 million of these interactions a day, compared with 10 million total in the first year. Photos are the most popular type of content shared, following by status updates and then sleep records, and for those that tap into the music sharing feature, Drake is the most popular artist. In December, we reported on the staggering rise in Path’s usage, noting an 800% increase in monthly active users in one month, at least according to its Facebook usage statistics. The service saw 30,000 users grow to 250,000 in that time, all of which figure in Path’s 2 million total members. Morin says that it will roll out extended platform deals in the near future, add smarter friend request filtering and possibly even an app for Windows Phone.